In her 1962 book, Silent Spring, Rachel Carson wrote about a chain of events that ended in tragedy for robins. "We spray our elm trees and the following springs are silent of robin song—not because we sprayed the robins directly, but because the poison traveled..."
What happened? 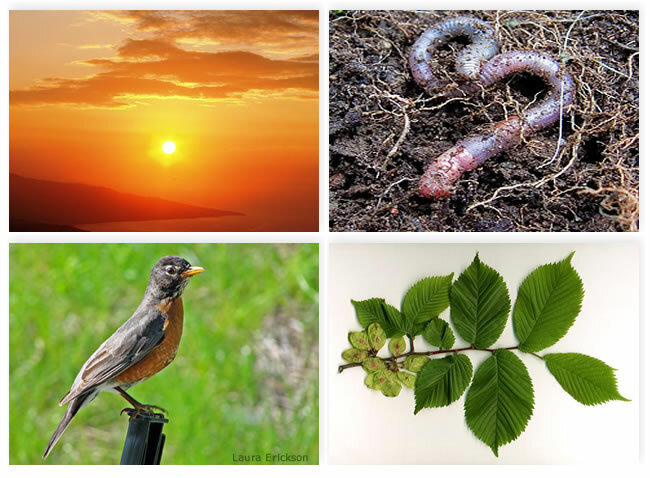 Follow the food chain to discover how the pesticides passed from elm leaves to robins. 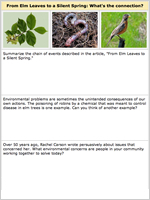 Read about Carson's courage to voice her concerns in the article, From Elm Leaves to a Silent Spring. Summarize the main ideas and share your thoughts on a journal page.